The Dockers got away to a good start in their match against the Blues. By quarter-time they had already managed a 14-point lead. The blues pegged that lead back to just two points by the main break, setting up a big third quarter. The Södermalm Blues rammed home four unanswered goals in the third term to have a big 22-point break at the final change. The last quarter, however, belonged to the Norrtälje Dockers. In a massive finish, the team lifted to boot six goals to one and run away with a 10-point victory. It is exactly that type of powerful finish that should be the catalyst for the Dockers starting their run to the flag. 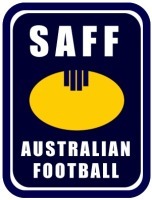 One thing certain about the SAFF this season – there are many twists in the tail still to come.